It’s Christmas on CHARMED, but it’s a bit bittersweet: it’s the first time all three sisters are together, but it’s also sans their mother. 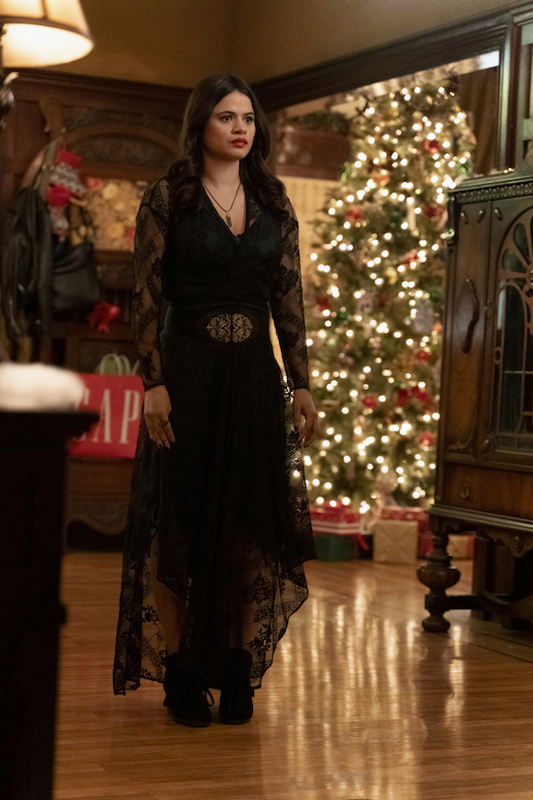 Charmed -- "Jingle Hell" -- Image Number: CMD109b_0550.jpg -- Pictured: Melonie Diaz as Mel -- Photo: Michael Courtney/The CW -- ÃÂ© 2018 The CW Network, LLC. All Rights Reserved.